As social media platforms and audiences change by the minute (there is probably another report coming soon! ), these types of reports can help us stay up to date and relevant as we use social media tools in our prevention work. So, why are you using a particular social media tool? 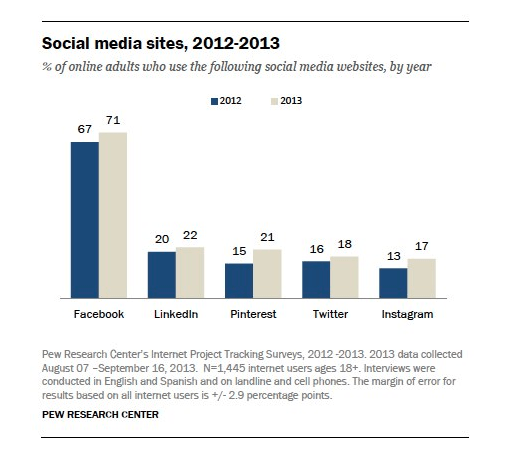 As you consider that question, read the full PEW Center report here, read more about social media here, and take a short eLearning course about it here. *Term used in the PEW report.